Poochy & Yoshi! Punch Club! Lifespeed! Bomberman '94! Much more! Another week begins, and that means advance warning of what to expect in this week's European Nintendo Download Update. It's a fairly busy line-up this week, with a retail Good-Feel release on 3DS leading the way. 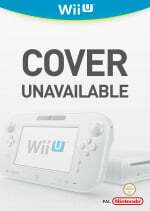 There are also promising download-only releases on the Wii U and 3DS eShop, while we have a rare TurboGrafx-16 Virtual Console release for this generation. Let's get to it. Poochy & Yoshi's Woolly World (Nintendo, €39.99 / £34.99) - Good-Feel's cozy 2D platformer comes to the 3DS seeking the portable's expanded audience. Changes include the addition of auto-running Poochy stages, the ability to desigh your own Yarn Yoshi, a Yoshi Theatre full of lovely animations and more. Our review will be with you before the game releases, but until then you can check out our Poochy & Yoshi's Woolly World preview. Game available from 3rd February. 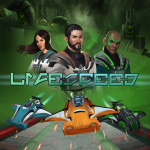 Lifespeed (Wee Man Studios, €5.99 / £4.99) - In the works since 2015, this New 3DS exclusive focuses on high speed action as you race / fly your way through futuristic courses. We'll get up to speed with a review. 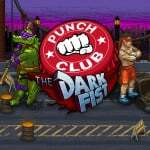 Punch Club (tinyBuild Games, €9.99 / £8.99) - A title that's previous dealt out damage on PC, this is a management sim of sorts in which you train your boxer to rise through the ranks while also learning about your father's death. It's packed with pop culture references and humour, and from what we recall on PC packs quite a punch in difficulty. We'll go for a KO in our review. 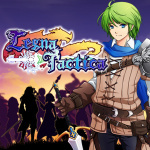 Legna Tactica (KEMCO, €9.99 / £8.99) - KEMCO has brought a number of RPGs to the handheld, often ports of smart device releases. In this case it's a strategy RPG; the title may have tipped you off. These releases are typically solid if unremarkable, but we'll see how this one shapes up. 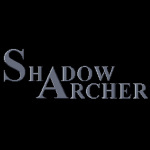 Shadow Archer (Ultra Dolphin Revolution, €2.99 / £2.69) - With retro-style visuals this games offers a simple arcade-inspired gameplay loop: use your archer to shoot down waves of enemies with limited ammo. Its simplicity turns out to be a strength when combined with the smart design - we enjoyed this in our Shadow Archer review. Koi DX (CIRCLE Entertainment, €3.99 / £3.89) - This rather intriguing title appears to take place within a Koi pond - obviously - with missions, customisation and more involved in the gameplay. It has some rather handsome visual design and could be worth a look. Star Splash: Shattered Star (Snails Animation, €3.49 / £2.99) - You play a courageous dolphin that needs to reconstruct and save the Mother Star, which is dramatic. Beyond that this looks like an auto-scrolling runner style of game, with more than 30 levels and a two player mode on offer. COLOR CUBES (RCMADIAX, €1.49 / £1.39) - Seemingly another score-chaser, in this case you tap to change the colours of boxes with the challenge ramping up and demanding faster reflexes. BRICK RACE (RCMADIAX, €1.49 / £1.39) - A simple score chaser in which you race a chunky vehicle while avoiding crashes with others; we were rather unimpressed in our review of the New 3DS version. Bomberman '94 (Konami, €6.99 / £6.29) - It's a TurboGrafx-16 title on the Wii U system, a first as far as this writer can recall; there were a number on Wii, and if you own that version of this game a system transfer will entitle you to a lower price. As for this entry in the iconic series it's colourful and a lot of fun, and could be a good warm-up for Super Bomberman R on Nintendo Switch; we enjoyed it a lot in our original Bomberman '94 review. 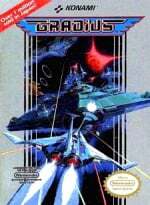 Gradius (Konami, €6.99 / £6.29) — A second TurboGrafx-16 arrival, not the NES version as we erroneously stated upon original publication. The Konami shooter was integral in the evolution of side-scrolling shooters, and we'll check this out in comparison to the NES version for a review. That's the full Nintendo Download Update for Europe this week. Let us know what you plan to download in the comments and poll below. Well, I suppose it's good in a way. More money to save for when Zelda and the Switch come out. Gonna grab at least some of that Runbow DLC. Really enjoyed that game. Sorry if I bother you yet again, @ThomasBW84, but when is the Inchworm Animation II Butterfly review due? I need to know how good that application is. I love Bomberman '94 but I'll wait until it's available on the Switch. Good to see they didn't just abandon Turbografx after the first three games that came out earlier. Was tempted by the runbow DLC but still can't get into the game overall so won't risk wasting the money until I do. I had an embarrassment or riches in terms of unstarted e shop titles to work through. I'm playing swindle right now and it's great, and legend of Kay is good if a little clunky!?! Funny that Bomberman '94 should turn up now. It's almost like Konami are trying to promote an upcoming game on Switch. It just goes to show how easy it is for them to put VC games on the Wii U eShop and yet we've been starved most of its life. It only took like over 4 years and when the Wii U is in the grave for this to happen. Nothing for me yet again. At least I'm saving money - Switch is gonna see it all anyway. I doubt they'll release Bomberman 94 on the switch eshop straight away otherwise no one will buy the New Bomberman game. Nothing for me, but surprised to see Bomberman make an appearance. So now Zelda, Mario Kart 8, Splatoon and Bomberman are all available on the Wii U, there feels even less of a reason to...switch...to a Switch. I've got Poochy and Yoshi's Wooly World with that super adorable Poochy amiibo preordered. Punch Club! I skipped it on PC, so why not get it portable? Looking forward to getting Yoshi's Wooly World with the cute Poochy amiibo this week. There have been a trio of TG16 games on the wiiu VC for a few months now in Europe. Really hope it isn't the inferior mega drive port just crammed into the TG16 section. Did Konami translate 94 on the Wii VC? Pretty sure it was never released in english on the TG16, only the worse mega drive port. But we had Bonk, Adventure Island and RType and they were TG16 games so Bomberman isn't first. Am I missing something ? I notice the Wii U has been relegated to below the 3DS in the download update order for I think the first time ever.An error or a sign of the times? Hey, Gradius! Nice. Might check that out. Finally some Wii U VC! While both games I don't want (have NES Gradius and will upgrade Gradius III if it comes), it gives hope for Super Smash Bros. coming later in February. I think there's a glitch in the poll. The top item should be at 100%. For a moment i thought it was Bomberman 64. Then i was disappointed. @AlexSora89 I shall try and find out for you. I'm finding it a tad ironic that Wii U goodies are under 3DS. Weren't they always on the top? I just want the Poochy Amiibo, does it only come with the game? Thank you, kind Bowser fan. @ThomasBW84 Hey is it the TurboGrafx Gradius? Forgot all about Yoshi coming to 3DS. I won't be buying it since the Wii U version was more than good enough for me. Is it at least playable in 3D? If not I'm starting to fear the age of 3D is over. The last two games I've bought (Pokémon and Dragon Quest) have opted to ignore the 3D capabilities in favour of more powerful games (strange when Xenoblade managed 3D...) and I'm hearing companies are stopping production of 3D TVs now. It really feels like the 3D age has come to an end. Bomberman 94 is really good. I would totally recommend. It will get your feet wet for the Switch title. @Baker1000 Dragon quest 8 has great graphics, story, and voice acting. I cannot say the same about DQ 7. It does have classic game play, I do like it, but I myself was a bit disappointed in it. It is a PS2 port. which isn't a bad thing. Pokemon should totally get a huge upgrade for the Switch. @Menchi187 I don't think the game ever got translated but it was released on Wii VC regardless. It didn't have much text to begin with and most of it was already in English. There's no doubt this is the Turbografx version. The Mega Drive/Genesis version is called Mega Bomberman and there's no Mega Drive VC on Wii U.
Psst... I have ordered Yoshi Wolly World 3DS. Not because 3D effect, but portability aspect. Sure, 3D effects is really temptating but at least the 3DS version has something that Wii U didn't have. How did you type upside down ? I will get the Epic Holiday Word Search. I love this series. 10k is really fun. Seriously Konami, this late? At this point, I'd rather you made sure Turbografx support was ready for the Switch. We had 3 TG games waaaaaay back in July! Do you know how many weeks you could have filled with TG games and caught up to Japan's current PC Engine games? Japan still has only four PCE games on 3DS VC. That still includes China Warrior but not Bonk. Well, this makes canceling my Switch pre-order a near cert. The only 2 launch titles I was interested in being Zelda (natch) and possibly Bomberman - reviews permitting. Well, since I've got a WiiU in my ranks, Zelda (WiiU) and now Bomberman 94 fill that gap. Shouldn't Fire Emblem Heroes be on here? It is a Nintendo game available for download on the 2nd of February, after all. This week is all about Yoshi for me, obviously. I already completed the Wii U version 100% (including unlocking all the amiibo patterns), and I loved it so much that I absolutely wanna double-dip, even if this version was an exact 1-on-1 copy of the Wii U version (but still optimized for actually properly running on 3DS, of course). I already thought the Wii U version was practically a love letter for Yoshi fans, and this 3DS version feels even moreso as such, with the Poochy levels and the oh-so adorable animated shorts. Only thing that's a shame is that this version won't appear as 'fuzzy' as the Wii U version, but that's fine. The new content and the Poochy amiibo (of which I'll get two, just like I did with all the Yoshi amiibo! ), more than make up for that. Also, it is far superior of course. 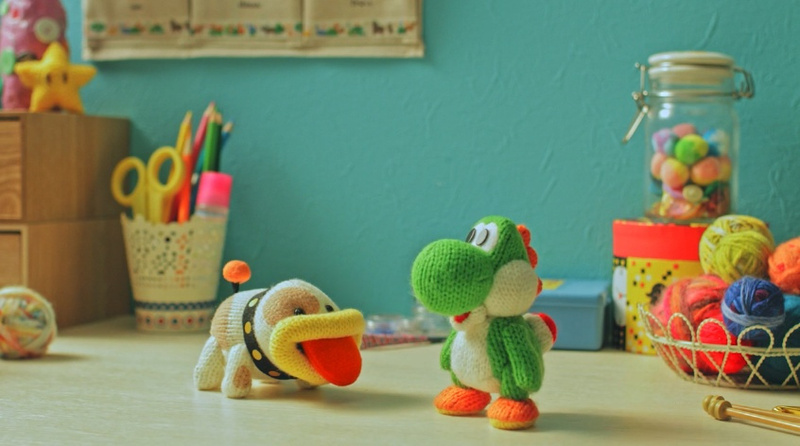 Poochy & Yoshi's Woolly World has been on pre-order for a while now, just waiting for that dispatch email! @Anti-Matter so it does use 3D? @River3636 yeah it's clear that DQ8 is the more technically impressive game. I liked DQ7, even if the format of collecting fragments and restoring the world a piece at a time got repetitive toward the end. Still a bit disappointed I can't explore the world of DQ8 in 3D. I'm really excited to see DQ11 on 3DS with it's dual display of 2D and 3D environments. Probably pick that up over the Switch version. Or maybe get both idk. As somebody who has it on Wii, I highly recommend "Bomberman '94" it's one of the best Bomberman games. I hope NA gets the tg-16 VC options this week too. You're usually grumpier than needed but, boy oh boy... how right you are. And Nintendo, as I said, needs to go the extra mile with the Virtual Console on Switch to make up for the initial drought but... why do I get the feeling they won't? @PlaytendoGuy Try searching Ebay after the release date. @Baker1000 It is playable, it has 3D effect and it runs at 60 fps on New 3DS. Xenoblades is N3DS exlusive, o3DS couldn't handle the 3D (rendering an image twice takes resources), and that's one of the reasons why they scrapped the o3DS project. Plus that's a HUGE game and, if I recall correctly, they replaced every inch of environment textures and models from Wii, so the N3DS game will run smoothly. Pokemon is a bad example here, as GF struggles with 3D graphics rendering since the beginning (so they are saving the power by not including the 3D effect at all, and by fixing the camera angle (also removing horde and triple battles further suggest their inability to do the 3D graphics right)). Plus, I belive it was made partialy for Switch - and there's no need for 3D there. Pokemon games will sell well regardless of the effect anyway. Monster Hunter is a better example of a 3D game with lots of detail and with multiplayer abilities, playable on O and N 3DS, it does however graphically benefits from N3DS processor. Dunno about Dragon Quest tho, never played the series. I played the demo of Yoshi on N3DS. Looks great and plays great. Obviously, when compared on a YT video it will look bad (240p), but on the system it is really nice.